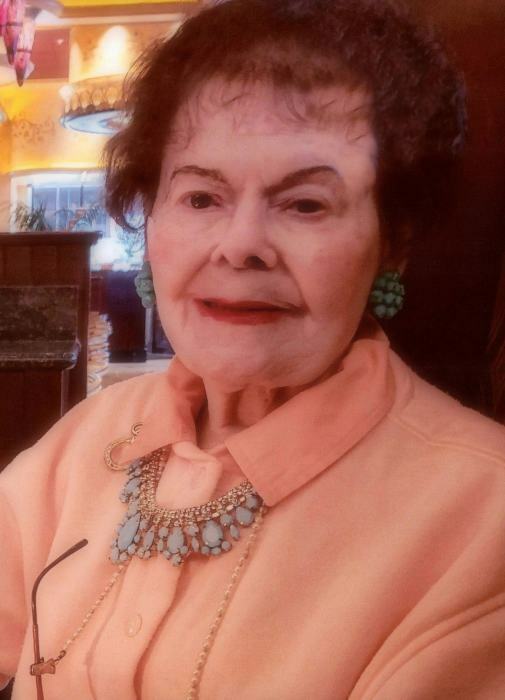 Eleanor (Dolan) Kordes, 95 ½ years young, of New Britain, passed away peacefully surrounded by her family on Thursday, March 28, 2019. She now joins her beloved husband, Frank, who predeceased her in 1994. Born in Brooklyn, NY on September 20, 1923, she was one of seven children to the late William and Anna (Salsberg) Dolan. Raised and educated in Brooklyn, she met and married her husband Frank in 1949, and was a devoted mother to their five children. She made each holiday magical for them with her extensive decorating, and carried on the same traditions at her beloved church, the Congregational Church of Plainville, for all to enjoy. A true lady through and through, she radiated class and generosity, and never left the house without a gift in hand. Whether it was one of her famed hand-crafted hat wreaths, a doll from her vast collection, or something that she saw on TV, Eleanor took great pleasure in brightening someone’s day with a small token or thoughtful gesture. A regular at Capital Lunch in her hometown of New Britain, she will forever be remembered for her bright, optimistic outlook and kindheartedness, and will be greatly missed, leaving her family with many cherished memories. She is survived by her daughters, Diane Carey and her husband Paul Stevens and Geraldine Guthrie and her husband, Robert; her son, Dennis Kordes and his wife, Brenda; her grandchildren, Lisa Cary-Bremner, Cheryl Berry, Erin Guthrie, Mercedes Kordes, Matthew LaBonte and Kevin Agular; her great-grandchildren, Isabella and Delila Kordes, Kaitlyn and Tanner LaBonte and Maisy Berry; her sisters and best friends, who were always the first on the dance floor at weddings, Margaret Smykowski, Anna Mae Vaillant, and Geraldine Gudema; her dear friend and caretaker, Marilyn Borry, who helped her maintain her independence; many nieces and nephews, and her church friends who were her second family. She was predeceased by her son, Gary Kordes, her daughter, Janice LaBonte, her grandson, Stephen LaBonte, her brothers, Thomas and Eugene Dolan, and her sister, Genevieve Dolan. In lieu of flowers, Eleanor may be remembered with contributions to the Congregational Church of Plainville-UCC, 130 W. Main St, Plainville, CT 06062. Funeral services in celebration of Eleanor’s life will be held on Saturday, April 6, 2019 at 11 a.m. at the Congregational Church of Plainville-UCC, 130 W. Main St, Plainville. Committal services and interment will follow at Fairview Cemetery, New Britain. Family and friends may gather on Friday evening, from 5-8 p.m. at Plainville Funeral Home, 81 Broad St, Plainville.